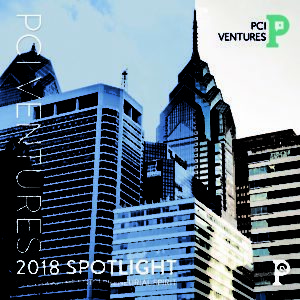 We are proud to present the PCI Ventures 2018 Spotlight. This report showcases the inventors, entrepreneurs, and partners who are at the heart of what we do. Inside, you’ll find highlights of our impressive startups, profiles of our dedicated company leaders, and examples of the unique programs and services we provide.